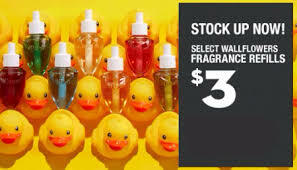 Bath & Body Works $3 Wallflowers ~ Sale Ends Soon! Score some great deals at Bath & Body Works with their Semi-Annual Sale with up to 75% off! Check out their selection of Wallflowers for just $3 each and be sure to stock up on much more! Next postPlan Your Visit to Brookshire’s World of Wildlife Museum in Tyler, Tx. ~ FREE!